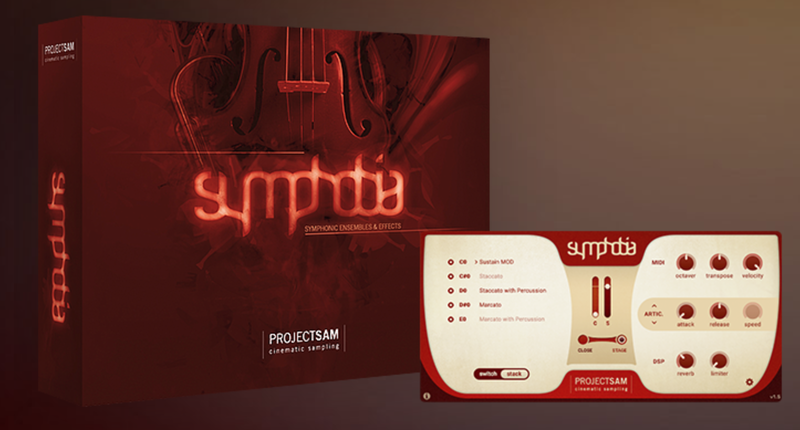 ProjectSAM has released version 1.1 updates for Symphobia and Orchestral Brass Classic. Color code added to interface to quickly identify section. Expression (CC11) control added to all programs. ADSR control page added to interface. Keyswitches moved upwards to fit within 88-note keyboard range (C6 and up). Improved round robin behavior: now functions properly regardless of amount of notes pressed in chord. Modwheel switch programs (MOD) added as alternative to Keyswitching. Improved tuning in vibrato woodwind ensemble. Tighter attacks for various articulations, including string staccato/spiccato. Kontakt 3-specific: release triggers now function properly. Kontakt 3-specific: vibrato woodwind sustains now playback correctly on PPC. Kontakt 3-specific: Dystopia II patches now sound correctly. Solo string ensemble round robin gaps fixed. Various acoustic artifacts removed from samples. Various other programming bugs fixed. Trumpet Section close mic references fixed. Various Keyswitch (KEY) patches fixed. Various round robin cycles fixed. Various Kontakt 3-specific bugs fixed. 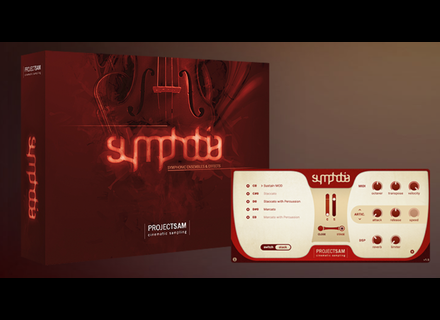 NOTE: Both products were created for Kontakt 2.2.5. This means that they can only be opened in the included Kontakt Player 2.2.5 and/or Kontakt 3 (or higher). They cannot be loaded into Kontakt 2 (or lower). DontCrac[k] To Distribute Flux Products DontCrac[k] has announced that they have signed an agreement with Flux, manufacturer of professional audio plug-ins, and offers 40% discount until May 15. XT Software energyXT 2.5 - Boxed Version XT Software has announced that energyXT 2.5 boxed version is available in stores. LinPlug, Albino 3 & 600 Free Sounds Buy Albino 3 from LinPlug and get 600 Bonus Sounds in May.